Henry Badgery is a 4th year medical student in the undergraduate program at Monash University. He has a wide range of interests notably in anaesthetics and surgery as well as an active interest in music. Sugammadex is the first of a class of selective relaxant binding agents. It acts by binding with high affinity to steroidal non-depolarising neuromuscular blockade drugs terminating neuromuscular blockade (NMB) through 1:1 encapsulation. Reversal of NMB has traditionally been performed by acetylcholinesterase inhibitors however these drugs have their drawbacks and are therefore not ideal. This review examines the indications and advantages of sugammadex as well as the potential risks and shortcomings associated with its use. Sugammadex is a relatively new drug that has been shown to be efficacious with an improved side effect profile as compared to its alternatives however several factors associated with its use have yet to be determined. These shortcomings have relevance on a therapeutic level as well as on a health economics level. NMB has been an important development in anaesthetic practice improving operative scenarios through patient paralysis. 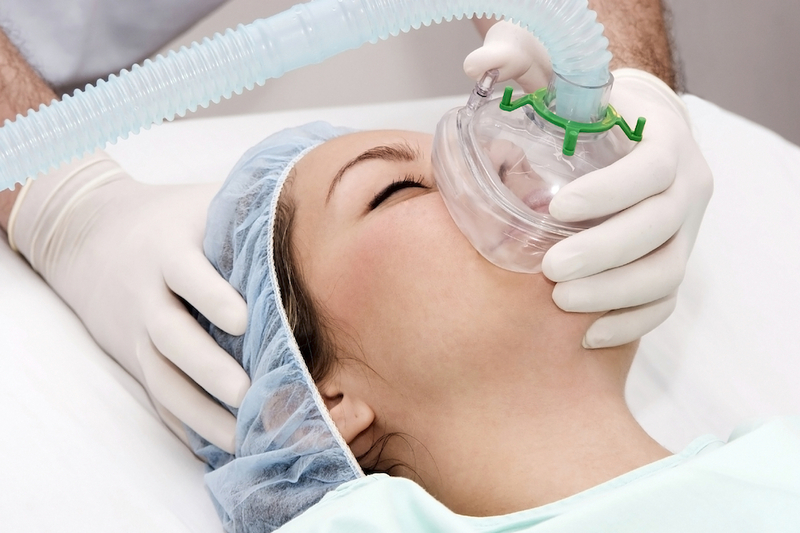 Muscle relaxation facilitates endotracheal intubation, ensures patient immobility and improves conditions for laparoscopic abdominal surgery. Broadly speaking, the two classes of agents used are the depolarising NMB agents, of which there is only one in use, and the non-depolarising NMB agents. One of the significant problems with the non-depolarising NMB agents is their propensity to cause post operative residual blockade. This side effect of the drug has both patient safety implications and economic implications. The perfect solution to post operative residual blockade is absolute reversal of a non-depolarising NMB agent. This is routinely performed by cholinesterase inhibitors. These drugs however are less than perfect, as will be discussed and come with their own side effects. A relatively new drug that has appeared on the marked is sugammadex, a selective reversal agent that is considered far superior. Given the recent arrival of sugammadex to the market, its use is yet to be perfected and its risks are yet to be fully understood. Furthermore it is a very costly drug raising questions regarding cost effectiveness. This review article will look at the extent to which sugammadex is the solution to the problems associated with muscle relaxant in anaesthesia. The study was performed through review of existing literature on sugammadex and its use. 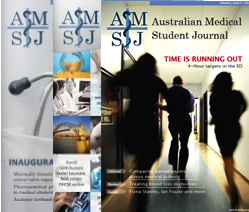 Searches were performed using Ovid MEDLINE and the Cochrane Database of Systematic Reviews using the following terms: sugammadex, rocuronium, pancuronium, neostigmine, vecuronium, neuromuscular block, neuromuscular blockade, post operative residual block, post operative residual curarisation, post operative residual paralysis and economic assessment. Titles and abstracts were read and assessed for relevance to the paper. Bibliographies of the identified articles were hand searched to find additional relevant studies. Searches were limited to: humans and the years 2000 to current. The Ovid MEDLINE search identified 1832 articles. Of these, 15 articles were identified as pertinent to this review. The Cochrane Database of Systematic Reviews identified one systematic review. A remaining six articles were identified from bibliographies. Therefore, a total of 21 articles were included in the final analysis. The other class is the non-depolarising agents. These are competitive antagonists that bind to post-synaptic nicotinic receptors preventing access and depolarisation by acetylcholine. There are numerous agents under this class, notably pancuronium, rocuronium, vecuronium and mivacurium. These drugs are categorised by their length of action; pancuronium is long acting, rocuronium and vecuronium are intermediate acting and mivacurium is short acting. They are used in different scenarios depending upon procedural requirements. Rocuronium is a commonly given non-depolarising neuromuscular blocking agent and is the primary target agent of sugammadex. It has a quick onset of action of 1-2 minutes and if given in high doses can mimic the rapid onset of suxamethonium. This is useful when considering rapid sequence induction for Caesarean section. If given in such high doses however its duration of action is lengthened behaving in a manner similar to pancuronium increasing the risk of postoperative residual blockade. It has a good side effect profile and has a 30 to 50% quicker recovery rate than pancuronium. [2,4] The problem with non-depolarising NMBDs is the risk of postoperative residual curarisation or residual NMB and the significant but small risk of anaphylaxis. As discussed, there are significant issues with residual NMB that are clinically underappreciated. The standard reversal agents that are routinely used are not without their drawbacks; their onset is slow, their side effect profile is significant and their efficacy is insufficient in particularly deep NMB. Furthermore, monitoring methods for residual blockade are inaccurate and technically difficult. One of the major benefits of sugammadex is that unlike the anticholinesterase inhibitors, it does not interfere with the receptor systems but rather acts on the NMB agent itself, meaning there are little to no muscarinic side effects. The drug binds to the respective NMB agent rendering it unavailable at the neuromuscular junction. A high dose can be given if required without a high risk of cardiovascular effects, as with neostigmine. Furthermore it does not need to be given with a muscarinic agonist, unlike anticholinesterase agents, eliminating the potential for further adverse events. Sugammadex can serve a purpose in rapid sequence induction. Traditionally, suxamethonium was used due to its quick speed of onset and short duration of action. However, this drug comes with a substantial list of side effects. Instead, rocuronium can be given in high doses to quicken onset and can be quickly reversed at the close of the operation with sugammadex, although this is still considered second line. The impetus for this paper came from an episode that occurred in theatre. A middle aged female due to receive a cholecystectomy was in an extremely anxious state before entering the operating theatre. She was convinced to go ahead with the procedure, which was uneventful. She was paralysed with rocuronium which was reversed with sugammadex. Upon reversal, the patient had a sudden severe reflexive episode going into a tonic-clonic contracture causing her jaw to occlude the endotracheal tube, in turn causing her oxygen saturation levels to fall. She had to be re-paralysed with suxamethonium to allow for manual respiration with bag and mask. An episode as described above is not an uncommon event and can occur during the emergence from anaesthesia; however the episodes are rarely so severe. It is very possible the sugammadex can be partly blamed for the reflexive episode, with a sudden return of muscle tone increasing afferent input through the muscle and tendon stretch receptors causing the biting. Because the standard reversal agents are not as effective as sugammadex, similar reflexive episodes that have taken place will have not had the severity seen here. The drug is still very new and anaesthetists are perhaps yet to fully understand its use. With experience such events will become increasingly rare through improved use. It has been shown convincingly that sugammadex is a superior NMB reversal agent to the cholinesterase inhibitors in terms of efficacy, although it has a significant side effect profile. Despite the considerable research that has been performed on the benefits and risks of the drug’s use, there are still many gaps in the literature which require further research. There was no case report or evidence of similar cases to that in the clinical scenario discussed earlier. A case report of this incident may be of value. The patient’s response may have been due to incorrect dosing or indeed a rare reaction that is yet to be clinically identified. This paper examined the use of sugammadex and its role in anaesthetic, focussing both on the risks and benefits of use. Having studied the available literature, there is a clear therapeutic benefit in the reduction of postoperative residual NMB, a preventable event that poses significant risk to patients. It presents a superior alternative to the current first line anticholinesterase NMB reversal agents. The benefit of the drug from a health economics point of view is yet to be determined, having regard to its high cost. Furthermore, the potential adverse effects and hypersensitivity reactions have not been adequately studied. The true side effect profile may require a very long period of testing or long term routine use before there is a good understanding. Sugammadex does have a role in very specific anaesthetic scenarios, however, given its significant cost and gaps in the literature, it cannot be recommended suitable for routine use. Kovac AL. Sugammadex: the first selective binding reversal agent for neuromuscular block. Journ Clin Anes. ; 2009;21(6):444 – 453. Yang LPH, Keam SJ. Sugammadex: A review of its use in Anaesthetic Practice. Drugs; 2009;69(7):919 – 942. Rang HP, Dale MM, Ritter JM, Moore PK. 2003 Pharmacology, Fifth Edition. pp 149-154. McDonnell NJ, Pavy TGP, Green LK, Platt PR. Sugammadex in the management of rocuronium-induced anaphylaxis. Brit Journ Anaes; 2011;106(2):119-201. Eikermann M, Peters J, Herbstreit F. Impaired upper airway integrity by residual neuromuscular blockade: increased airway collapsibility and blunted genioglossus muscle activity in response to negative pharyngeal pressure. Anesthesiol; 2009;110(6):1253-1260. Murphy GS, Szokol JW, Marymont JH, Greenberg SB, Avram MJ, Vender JS. Residual neuromuscular blockade and critical respiratory events in the postanesthesia care unit. Anesth Analg; 2009;107(1):130-7. Mathias LAST, de Bernadis RCG. Postoperative Residual Paralysis. Rev Bras Anesthesiol; 2012;62(3):439-450. Butterly A, Bittner EA, George E, Sandberg WS, Eikermann M, Schmidt U. Postoperative Residual Curarization from intermediate-acting neuromuscular blocking agent delays recovery room discharge. Brit Journ Anaes; 2010;105(3):304-309. Naguib M, Kopman AF, Ensor JE. Neuromuscular monitoring and postoperative residual curarisation: a meta-analysis. Brit Journ Anaes; 2007;98(3):302-316. Maybauer DM, Geldner G, Blobner M, Pühringber, Hofmockel R, Rex C, Wulf HF, Eberhart L, Arndt C, Eikermann M. Incidence and duration of residual paralysis at the end of surgery after multiple administrations of cisatracurium and rocuronium. Anaes; 2007;62(1):12-17. Magorian T, Lynam DP, Caldwell JE, Miller RD: Can early administration of neostigmine in single or repeated doses alter the course of neuromuscular recovery from a vecuronium-induced neuromuscular blockade? Anesthesiol; 1990; 73(3):410-414. Chambers D, Paulden M, Paton F, Heirs M, Duffy S, Hunter JM, Sculpher M, Woolacott N. Sugammadex for reversal of neuromuscular block after rapid sequence intubation: a systematic review and economic assessment. Brit Journ Anaes; 2010;105(5):568-575. Paton F, Paulden M, Chambers D, Heirs M, Duffy S, Hunter JM, Sculpher M, Woolacott N. Sugammadex compared with neostigmine/glycopyrrolate for routine reversal of neuromuscular bloc: a systematic review and economic evaluation. Brit Journ Anaes; 2010;105(5):558-567. Jones RK, Caldwell JE, Brull SJ, Soto RG. Reversal of profound rocuronium-induced blockade with Sugammadex. A randomized comparison with neostigmine. Anesthesiol; 2008;109(5):816-824. Zhang B, Menzin J, Tran MH, Neumann PJ, Friedman M, Sussman M, Hepner D. The potential savings in operating room time associated with the use of sugammadex to reverse selected neuromuscular blocking agents: findings from a hospital efficiency model. Val Health; 2008;11(3):244. Lee C, Jahr JS, Candiotti KA, Warriner B, Zornow MH, Naguib M. Reversal of Profound Neuromuscular Block by Sugammadex Administered Three Minutes After Rocuronium: A Comparison with Spontaneous Recovery from Succinylcholine. Anesthesiol; 2009;110(5):1020-1050. Alvarez-Gomez JA, Wattiwill M, Vanacker B, Lora-Tamayo JI, Khunl-Brady KS. Reversal of vecuronium-induced shallow neuromuscular blockade is significantly faster with Sugammadex compared with neostigmine. Euro Journ Anaes; 2007;24(suppl.39):124-125. Puhringer FK, Gordon M, Demeyer I, Sparr HJ, Ingimarsson J, Klarin B, van Duijnhoven W, Heeringa M. Sugammadex rapidly reverses moderate rocuronium- or vecuronium- induced neuromuscular block during sevoflurane anaesthesia a dose-response relationship. Brit Jour Anaes; 2010;105(5):610-619. Curtis R, Lomax S, Patel B. Use of Sugammadex in a ‘can’t intubate, can’t ventilate’ situation. Brit Journ Anaes; 2012;108(4):612-614. Appiah-Ankam J, Hunter JM. Pharmacology of neuromuscular blocking drugs Contin Educ Anaesth Crit Care Pain; 2004;4(1):2-7. Baldo BA, McDonnell NJ, Pham NH. Drug-specific cyclodextrins with emphasis on sugammadex, the neuromuscular blocker rocuronium and perioperative anaphylaxis: implications for drug allergy. Clin Exp Allergy; 2011;41(12):1663-1678.